Welcome back, everyone! I hope that everyone had a wonderful, relaxing Thanksgiving – hopefully one filled with fewer appliance mishaps than my family’s. We had things pretty well planned out and then…the deep freezer died. And then the oven died. And then the garbage disposal died and started leaking, leaving one side of the sink out of commission. And then the dishwasher started acting a little funny…and yep, you guessed it, by the end of the weekend, it was gone, too. Luckily, we are a clever folk who have learned through the years how to adapt and go with the flow. So casseroles got transferred into slow cookers, a few things got cooked in a roasting oven, and our 14-pound turkey and all of the fixings got moved out to my aunt and uncle’s house. In the end, it all worked out, we all got fed and I think we were reminded that even when things go a little (or a lot) haywire, this time of year is really all about being with the people we love and appreciating the many, many blessings in our lives. 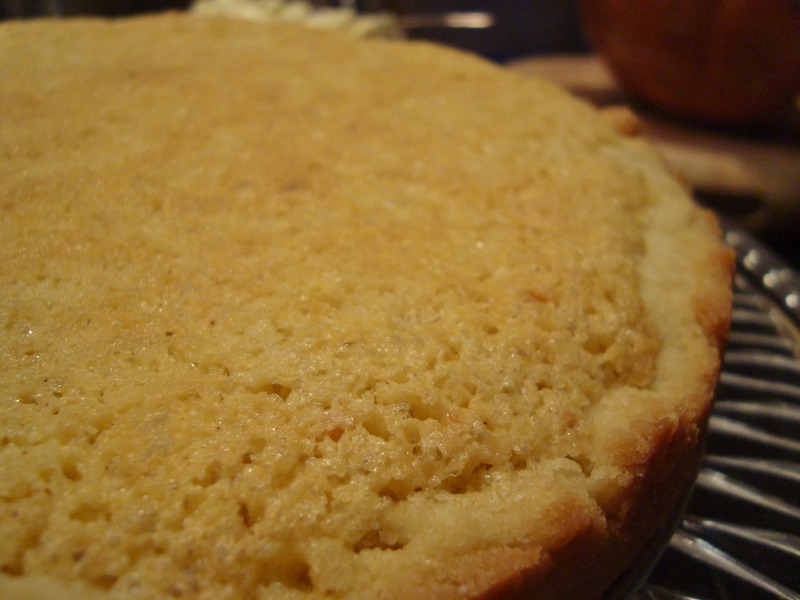 This recipe starts out with a sugar cookie-style crust. While the dough for the crust is chilling, a simple filling of eggs, sugar, ground almonds, lemon zest and a teensy bit of cinnamon gets whipped together. 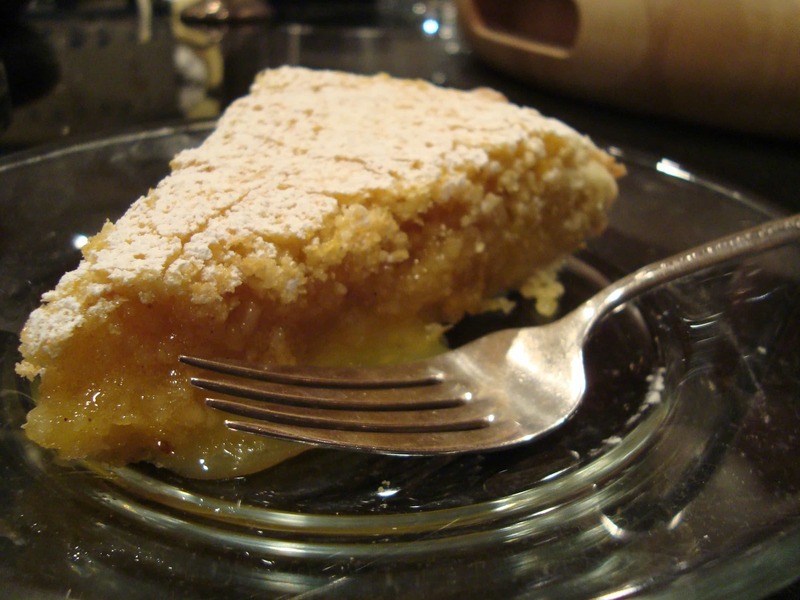 The crust gets rolled out, placed in a tart or spring-form pan, and filled with the almond mixture. 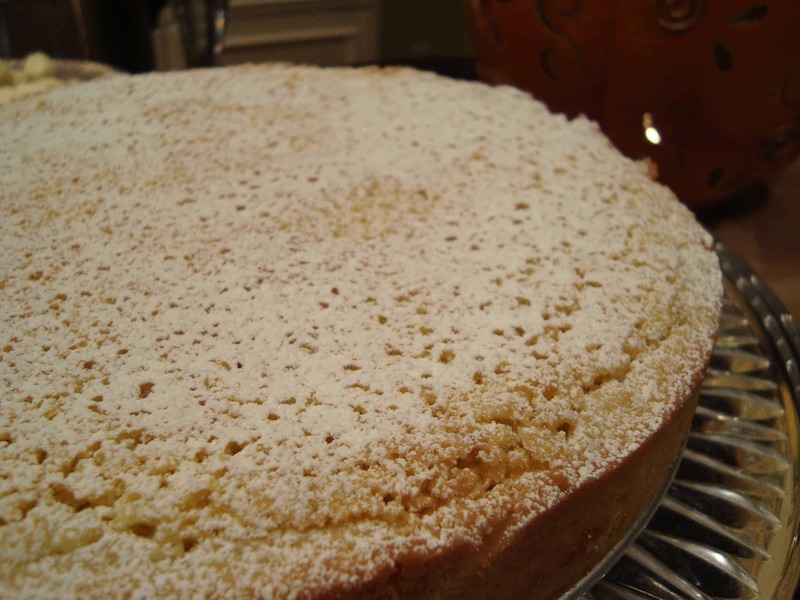 Everything gets baked to golden brown perfection, cooled, and topped with powdered sugar. Like all things Spanish, this recipe requires shockingly few ingredients and yet yields a tart that tastes incredibly complex. A simultaneously crunchy and creamy filling, a perfectly sweet crust, a hint of lemon, a nuttiness from the almonds…as I was eating this, all I could think was, “This is so very Spanish.” I was instantly back in the (many) bakeries I visited during my time in Spain. It was, quite frankly, the perfect end to my Thanksgiving meal. This tart would be the perfect dessert to take to a party this holiday season. It’s beautiful, delicious, and easy to make. If you’re scared of pie, this is a great alternative – the crust isn’t nearly as scary and the filling comes together in a snap. 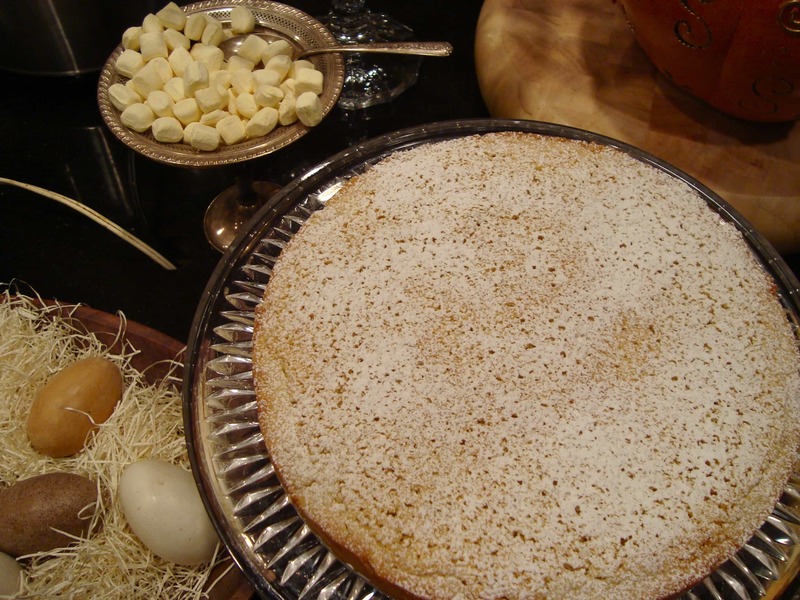 This Christmas season, consider giving Tarta de Santiago a try. I think your friends and family will thank you. Plus, saying you made a Spanish dessert just makes you sound so sophisticated and cool. Preheat oven to 350 degrees. Grease a 9-inch tart pan or spring-form pan. For the pastry: In a bowl, cream together butter and sugar. Beat in egg. Slowly mix in flour until dough comes together. If dough appears too dry, add a little milk. Form into a ball; wrap in plastic and chill for 30 minutes. Meanwhile, make the filling: Beat together the eggs and sugar until creamy. Fold in the lemon zest, ground almonds and cinnamon. On a floured work surface, roll out pastry dough until it is about 1 inch larger than the pan on all sides. Place pastry into pan, trimming edges as needed so the pastry comes about 1 inch up the sides of the pan. Prick all over with a fork and spoon in filling. Bake for about 30 minutes, or until golden brown. 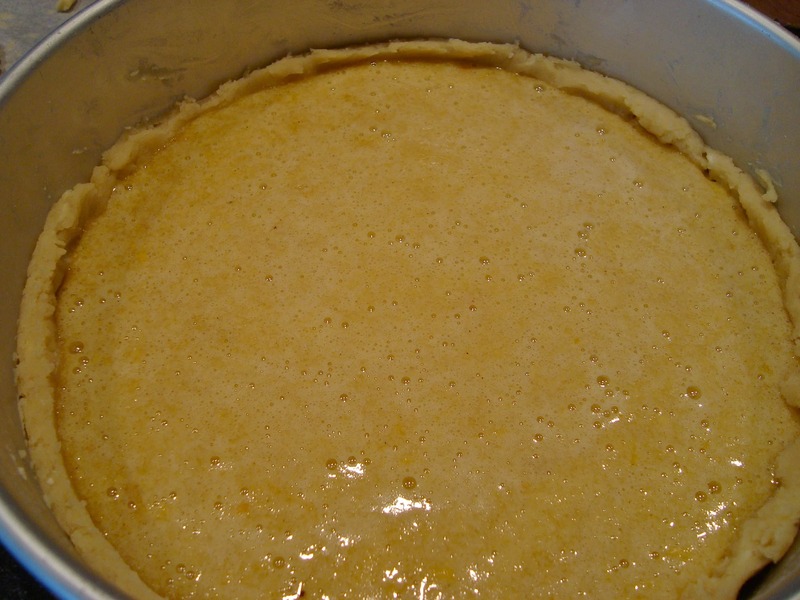 Allow tart to cool in the pan. 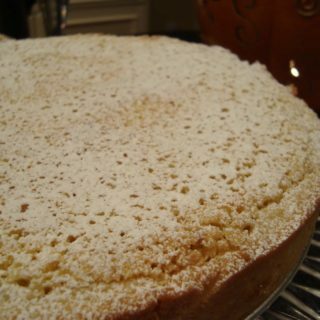 Once cool, transfer to a serving plate and dust with powdered sugar before serving. Looks good Stephie, I don’t do pies, but I might try this. BTW, I hear birthday wishes are in order so…. Happy Birthday!!! Yikes, that does sound like a crazy Thanksgiving! Glad it all turned out alright though…and with an awesome dessert recipe to boot! That looks so fancy, but you make it sound so simple.